10. Who's The One To Blame? 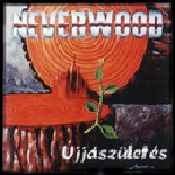 The band was formed in 1997 under the name of Neverwood by Attila Tanczer (keyboards) and Viktor Erdos (bass). After the continuos changes, the line-up was stabilized in 2000 when Tamas Rabel (drums) and Ferenc Farkas (guitars) joined. They finished their first demo with hungarian lyrics in the February of 2001. In this period the band performed on numerous gigs and festivals. In 2002 Balazs "Balu" Koncz became the new vocalist who proved soon that he is the best person behind the microphone and also in the function of managing the band. In the same year the band recorded their EP called Jeanne D' Arc (Never Surrender) which received very good critics all over the world. In 2003 the band had a hungarian tour with Age Of Nemesis (Magna Carta Records). At the end of the year they started the studio works of the first album in the Bakery Studio. 2004 was the year of concerts again. Beside many gigs the band arranged their own festival called Taste Of Metal for the first time and later they played with Devon Graves - frontman of DeadSoul Tribe - in April at the II. Hungarian Progressive Musical Festival in Pecs. At the end of June they finished their first album entitled Mind Games. During the summer the band performed on festivals and they appeared more and more in different magazines. 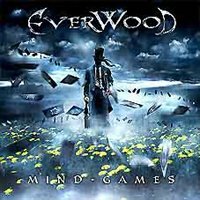 In December the name was changed to EVERWOOD and the band signed a record contract with the greek Burning Star Records. At the same time Tamas Rabel was out of the band. The debut Mind Games was released in digipack format in the February of 2005 in Greece and a couple of weeks later in Japan and in the U.S.A. The feedbacks from home and abroad were very positive. In some reviews the band was considered as "the progressive metal's hope of the year". In April they arrenged the Taste Of Metal Festival again in the biggest open-air hall of Budapest where Everwood was the headliner. In July Tamas "Toi" Szabo joined the band as the new drummer and the actual line up has evolved (Balazs "Balu" Koncz - vocals, Ferenc Farkas - guitars, Attila Tanczer - keyboards, Viktor Erdos - bass, Tamas "Toi" Szabo - drums, percussion). In September they performed as guest of the british progressive legend Arena on the hungarian concert of their european tour. 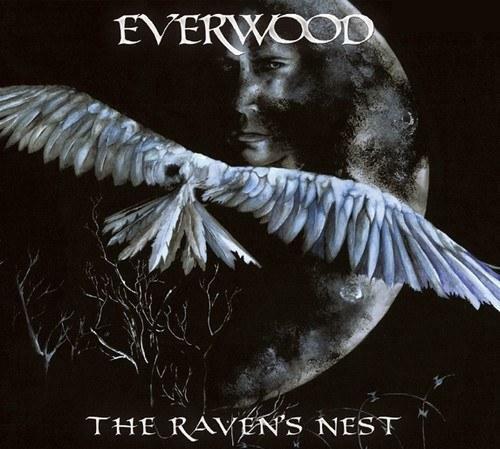 In October Everwood played on the III. Hungarian Progressive Metal Festival. In 2006 beside the numerous gigs the They wrote the songs for the second album. Mind Games was released in Hungary in July by the distribution of the CLS Records Kft. With this their debut album is on store in 20 countries. The band was nominated as "The best debut album of the year" on the Hungarian Metal Awards 2006. In August they had a very succesful concert on the Sziget Festival which is the biggest festival of the Middle-East Europe and attended by thousands of people every year. In October the band started to record their second album. Aborting the recordings they played some gigs in the capital of Italy, Rome. In the beginning of 2007 the second album entitled "The Raven's Nest" was finished which will bring subsequent home and international succes without fail!